This net is pretty large, but it doesn't skimp on quality. It has been made by the British Army, but hasn't been used or issued. So you can have all the benefits of a top quality product that hasn't been pre-issued. 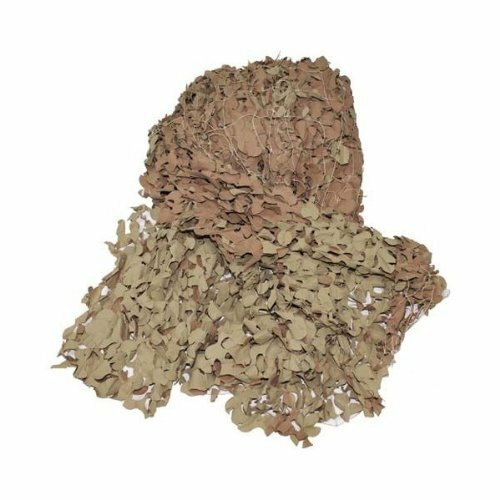 This Army Desert Camouflage Camo Net is perfect for camouflaging outdoor objects and adding a different color to an environment. The durable net will resist mold and rot and is 100% waterproof. All of our camo nets can easily be cut and joined with cable ties to make the exact size you need. Great for outdoor use, ideal for covering objects, screening, outdoor decoration etc. If you have any questions about this product by Camonetz, contact us by completing and submitting the form below. If you are looking for a specif part number, please include it with your message.